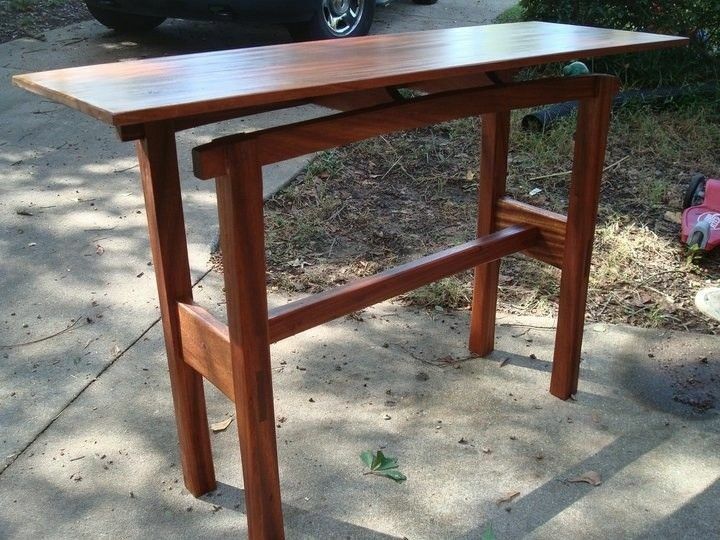 This entry table is made of African Mahogany with the dimensions of 36Wx16Dx30H. This particular table features a "Floating Top". This detail offset the thick legs, & stretchers. The side/forward stretchers are joined to the legs with through tenon joinery, with maple wedges. Finally the shaping and softening of the edges was done with a block plane. This design can be scaled up or down, and completed with other wood species.